Royce Lamberth, Senior Judge of the United States District Court for the District of Columbia, participates in the Judiciary’s intercircuit assignments program and helps the Ninth Circuit Court of Appeals with a busy docket. Photo credit: Wikipedia. Judicial vacancies and other factors have prompted a rise in the number of intercircuit judicial assignments, when judges volunteer in other jurisdictions to ease crushing caseloads. 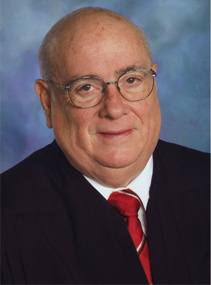 For example, Senior Judge Royce C. Lamberth participates in the Judiciary’s intercircuit assignments program and helps the Ninth Circuit Court of Appeals with a busy docket. “Intercircuit assignment requests typically are made by the chief judge of a court experiencing high caseloads. They must be approved by the circuit chief, and as required by statute, authorized by the Chief Justice,” the article explains.